After last month’s record low for veteran unemployment, today’s Unemployment Situation report is a bit of a bummer. While the unemployment rate for all Americans remained the same at 4.1 percent, veteran unemployment is up to 4.0 percent from its record low of 2.7 percent last month. 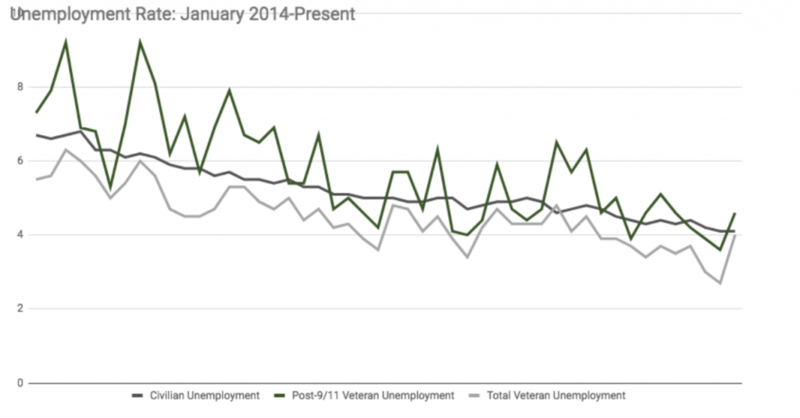 Post-9/11 veteran unemployment also rose one percent to 4.6 this month. For both male and women post-9/11 veterans, unemployment rose; however, the rate for women post-9/11 veterans doubled, from 3.3 percent last month to 6.6 percent this month (check back in August’s blog for more on this sharp rise). We continue to see two trends: veteran unemployment is lower than overall unemployment, and post-9/11 women veterans have the highest unemployment rate overall. As we see unemployment among all veterans rise this month, including post-9/11 veterans, it is more important than ever to discuss veterans role in the workplace. 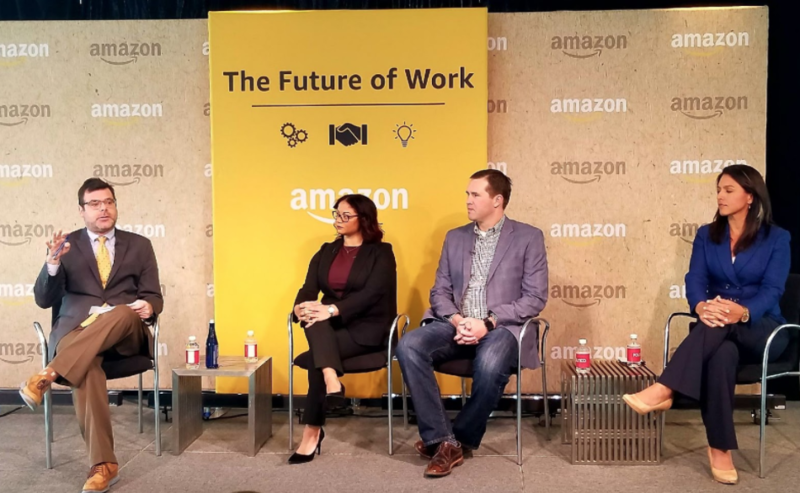 Last week, IAVA had the pleasure of participating in Amazon’s Future of Work Summit in Washington, DC. The panel, hosted by media site Politico, focused on employing vets in the new economy. More broadly, our Political and Intergovernmental Affairs Director, Melissa Bryant, discussed how unemployment impacts the post-9/11 veterans generation. Moderated by Politico’s Bryan Bender, Melissa shared the stage with Congresswoman Tulsi Gabbard and Eric Eversole, CEO of Hiring Our Heroes (you can watch the full discussion here). The panel discussed how employment is not a one-size-fits-all issue. While Melissa noted how the GI Bill can be used to build on training in the military when veterans return home, Congresswomen Gabbard commented on the importance of the Transition Assistance Program in connecting and preparing service members for their transition into the workforce. And Eric Eversole, from Hiring our Heroes, emphasized the importance of finding not just any job, but the right job. The big takeaway: veterans are an investment. As Amazon’s Director of Public Policy noted, “veterans work hard and think on their feet.” IAVA agrees. 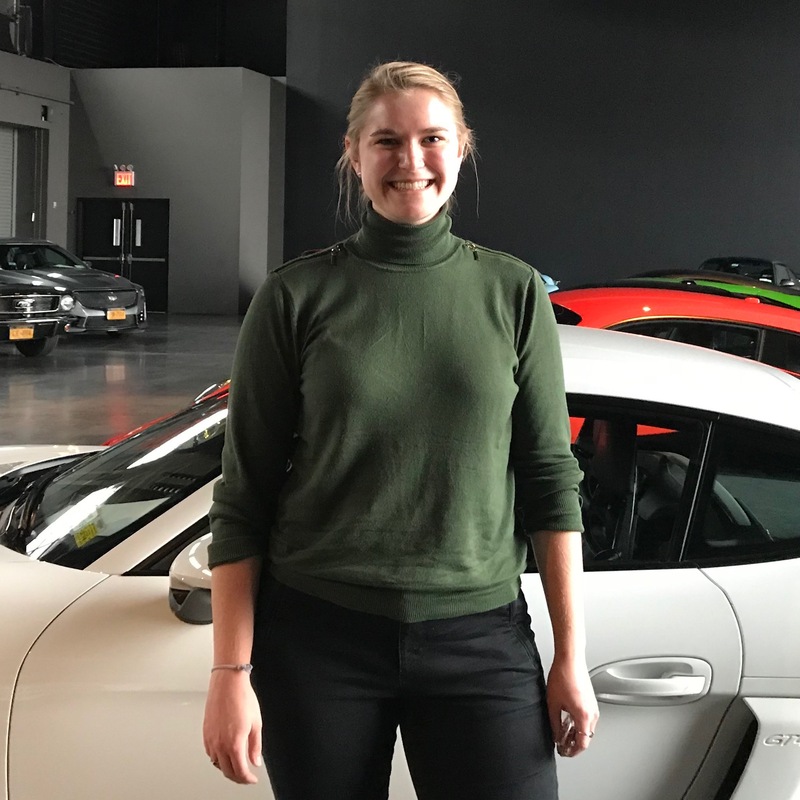 Amazon’s Future of Work Summit, and others like it, allow us to speak to employers and civilians throughout the country about the advantages of hiring veterans. And while there has been tremendous progress in tapping into veterans’ skills in the workforce, this month’s unemployment report reminds us that there is still work to do. In IAVA’s latest member survey, job certifications and requirements, and the competitiveness of the workforce are the top issues affecting employment. And underemployment, or when a job does not meet the pay or skill level of an employee, affects a large number of IAVA members: 37 percent in our latest member survey. In addition, women veterans are more likely to be unemployed that their male counterparts. And with more women serving and transitioning out of service than ever before, we have to address this trend now. IAVA knows that ensuring women veterans have access to the resources and support that they need is key to a successful transition. Through our #SheWhoBorneTheBattle campaign, we are sharing the stories of women veterans and working to improve the services available through the Deborah Sampson Act. Join us by joining supporting our #SheWhoBornetheBattle campaign and tell your Senators and U.S. Representative to support the Deborah Sampson Act here. If you or someone you know needs help finding employment resources, our RRRP team is standing by.